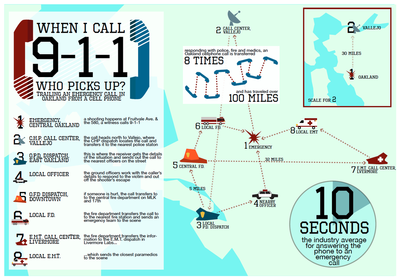 Tracing the path of a 9-1-1 call in Oakland, California. Created by Cal Tabuena-Froli. 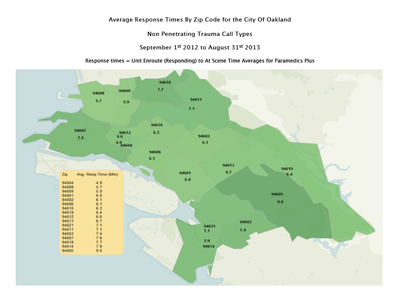 Number of calls for non-penetrating traumas in Oakland by zip code. Created by Joshua English of the Alameda County Health Department. Average response times for non-penetrating trauma calls in Oakland by zip code. 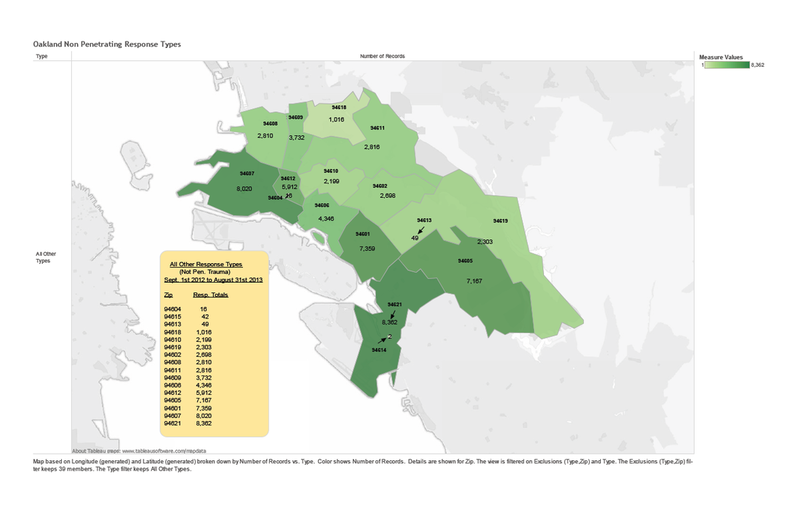 Created by Joshua English of Alameda County Health Department. 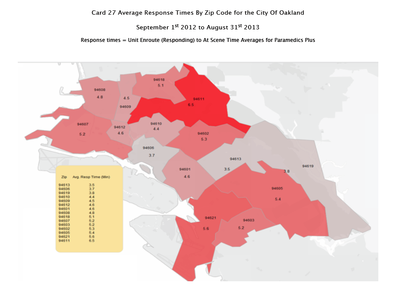 Average Response times for high priority calls in Oakland by zip code. 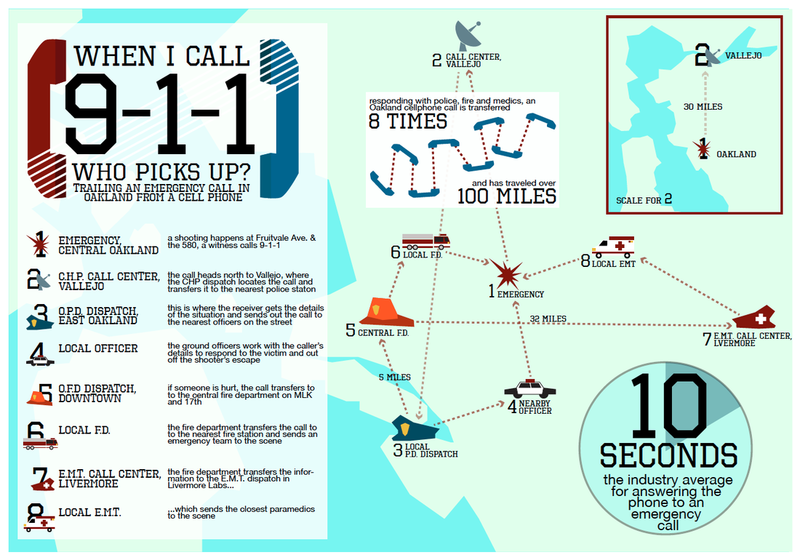 Created by Joshua English from the Alameda County Health Department.